5th edition of the Tapa Solidaria. 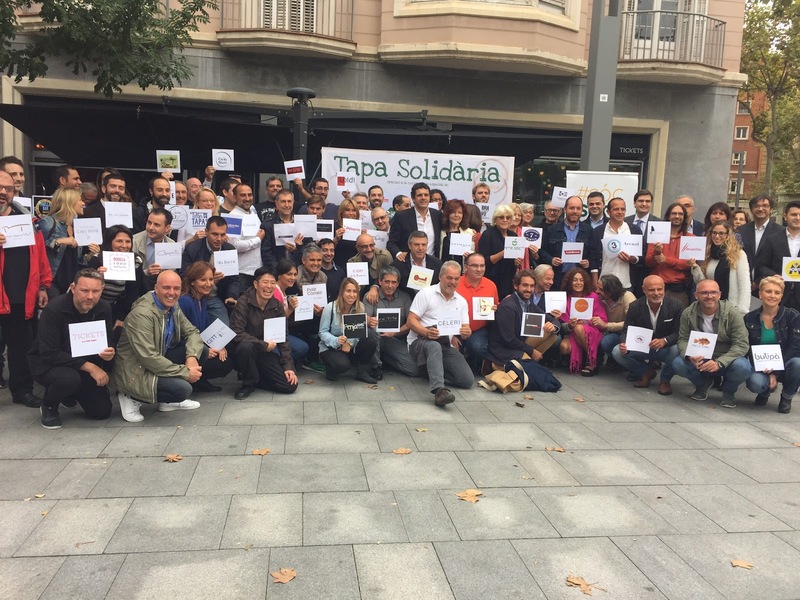 Here comes the 5th edition of the Tapa Solidaria. This project is sponsored by the chefs Albert and Ferran Adrià. This year they have 101 restaurants participating, 50 cents of the sale of the particular tapa /( depending on each restaurant) will go to the Casal Dels Infants to break the cycle of child poverty. El Casal has been working since more than 30 years in education of children and young adults at risk of social exclusion. In the first four editions, this project has been able to collect over 92,000 euros that have been allocated entirely to "Vincles" a project mothers with babies from 0 to 3 years in situations of vulnerability. Last Thursday was the presentation of the Tapa Solidaria at Tickets, restaurant of the Adria brothers. Albert and Ferran Adrià are ambassadors to the Casal Del Infants for their commitment in the fight against child poverty. Tickets is one of the renowned restaurants that join the initiative, which has 101 restaurants, a dozen more than last year. With the consumption of the Tapa Solidaria, you can fill the coaster that comes with it and participate in a draw for a meal for 2 in one of the restaurant and also be able to win a trip to Dubai, curtesy of the chef Marina Andres and be able to visit his restaurant Seville in Dubai.